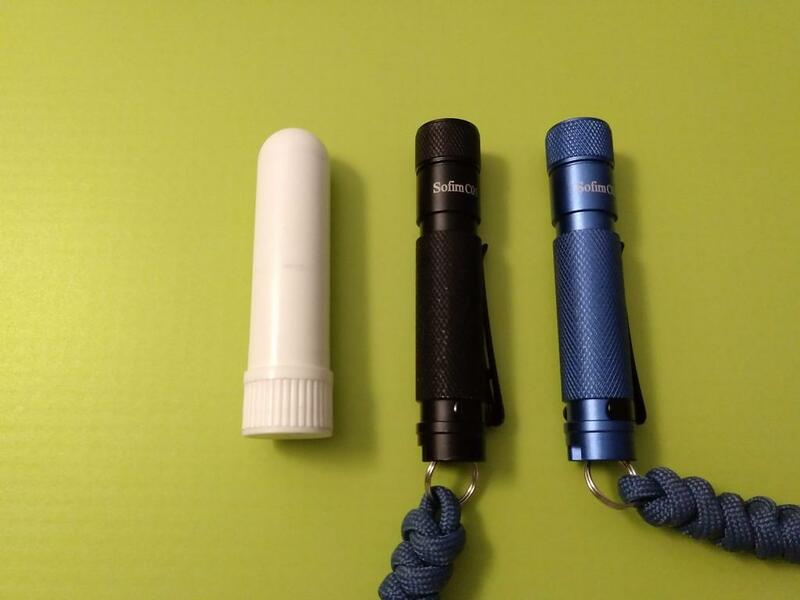 Here are my D4, Sofin C01, and D4S with some DIY diffuser/wands. 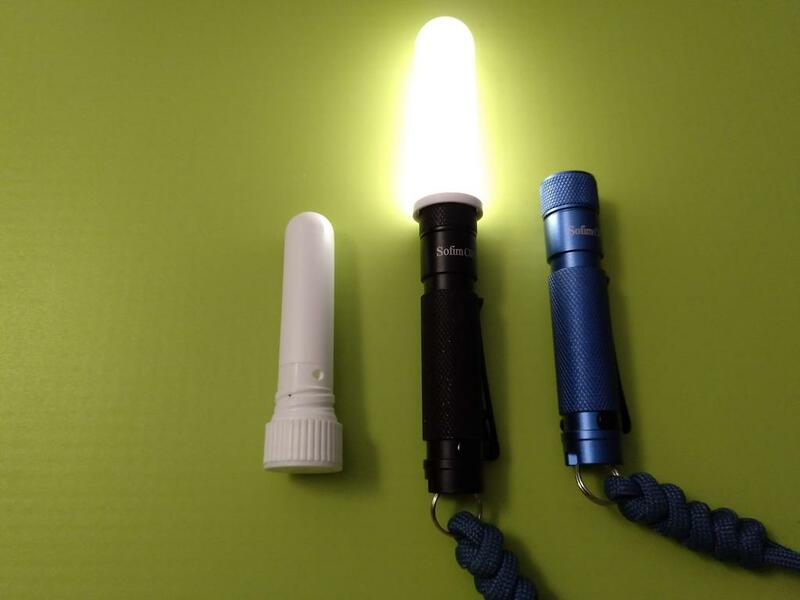 The tubes on the Emisar flashlights are samples I was sent — they are used as rigid mailing containers for transporting vials and glass tubes (e.g. blood samples). Both tubes were slightly too wide in diameter, so I put a strip of sticky back ‘hook and loop’ tape (e.g. velcro) inside the tube — I used the hook side only, since it is stiffer. Now I can jam in the torch bezel and the diffuser/wand stays in place. I’ve only got one tube that fits the D4S — it is more translucent than the other tubes I have, so I may try and scuff up the inside to get more diffusion. The D4 fits two lengths of tube. The Sofin C01 tube is a container I was sent when I ordered a replacement nib for a pen — it fits perfectly on the C01, without any modding, but is too wide for my Thruite Ti3. I’ve recently been using the D4 with long diffuser as a night light by my bed. 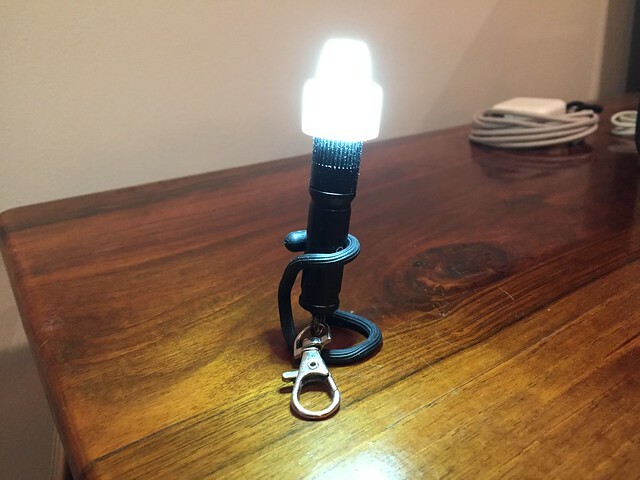 First night I used it I could not find it the next morning — turns out my wife saw it and started using it! I’ve seen mentioned on the Forums other DIY solutions, using old 35mm film cases, chap-stick type caps, even making holes in ping-pong balls. Perhaps if anyone has a cheap diffuser/wand solutions they could post here, and give details of the product they use and any DIY/Mods required. And then I found this perfect fit for a small cap on an Emisar D4. Yeah, sometimes you can score a diffuser for free like you did! I always have my wife save the opaque tops of her numerous women’s stuff and like you, have scored several diffusers for some AA and AAA lights. Nice diffusers you guys scored. I wasn’t that lucky, I don’t own any white plastic caps no matter where I looked. Just purchased a 1” diffuser at Fasttech – the plastic one, not the silicone. Old prescription bottles with the label taken off. The orange ones make for a pretty nice glow. Made a big one for my Q8 last year. It gets used all the time on the table out on the deck. Being able to ramp to the perfect level of light is great, and 4×18650 lets it run forever at lower levels. Berocca tube with sticky back felt for fit. Some of the drinkable yoghurt /smoothie bottles are pretty good . the old Kroger coffee creamer bottles worked well for P60 sized head flashlights .red caps off of super glue. or red chapstick caps .Tops of baby bottles some have snap on snap off covers that are diffused. 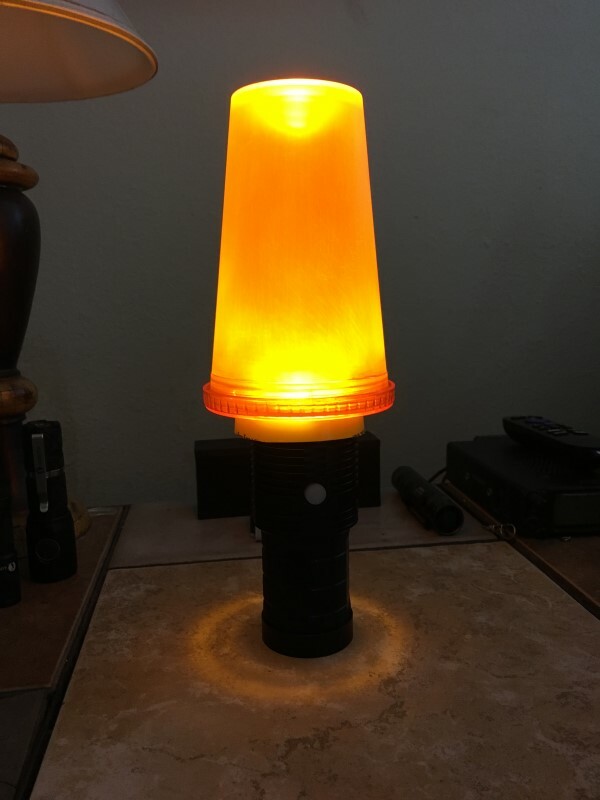 Try shoving the bezel of your light out of the inside of a bottle and using the cap as a screw on screw off diffuser and leave the neck of the bottle and threads on the light. bottles are nicely tapered going the wrong direction.. inside /out . Cut a hole in the top of the cap almost to the edges ...Drop a disc of diffuser film in and screw it down . Film canisters ,eyepiece canisters for telescopes ,water bottle caps ,medicine bottles , any lid or cap that fits... just cut a hole. Adapter off of a shop vac fits a Haikelite MT07S like it was made for it .